Prelude is the font bundled with WebOS in HP/Palm’s Palm Pre. I first saw it, and wrote about it, last summer, a bit after the device went on sale. Back then I wrote that the font was fantastic, but didn’t include any non-Roman characters. Apparently I was wrong. Eighteen months passed since then, a time during which Palm Pre was quickly consigned to history as an interesting curiosity, Palm was acquired by HP, WebOS remained a promising, fascinating even, operating system for mobile devices. While I downloaded the WebOS SDK back in the day, I quickly lost interest given that Palm did the lousiest job bringing the Pre to Europe — it was never available in Hellas and very few carriers, electronics chains and retailers carried it throughout Europe. Subsequent variants and revisions of the device were also totally absent from the market. 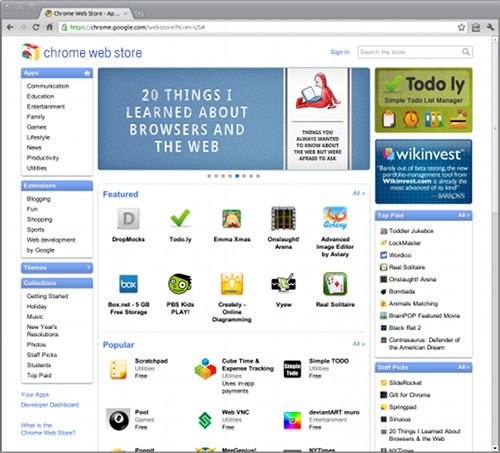 I did keep an open eye, however, as I find WebOS truly interesting. 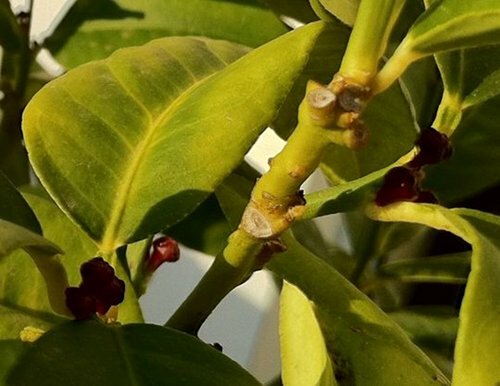 The other day I read this post on the Palm Development Center Blog. Apparently Prelude now includes support for more alphabets than I previously thought. Among them was Hellenic. Extracting the Prelude font from the emulator image is very easy, using scp after the emulator has completed booting. I tried the Prelude fonts on my main linux workstation, the machine I spend more than 85% of my time daily. The results were frighteningly bad. 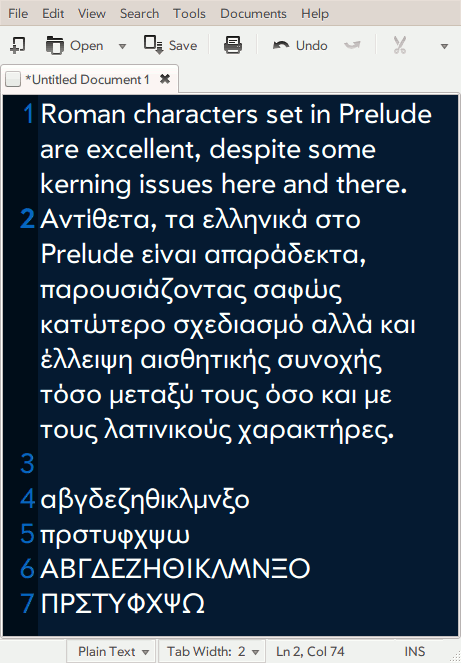 Prelude is a gorgeous font, but the hellenic glyphs look ridiculously bad. They seem like they were designed by someone other than the original designer; or the original designer has no clue as to how hellenic glyphs are designed. I mean look at this lowercase omega, or that totally out of place lowercase alpha. Like a distant, uglier cousin of Futura, that got lost and found shelter in a different font. In addition to being very ugly, with absurd metrics and an æsthetic feel that’s totally different to that of the Roman glyphs in the font, the hellenic glyphs betray complete ignorance of the hellenic alphabet. Needless to say, hellenic in Prelude look like a botched, hurried job, aimed at providing the bare essential support for hellenic, probably added at the last minute, bunched together with cyrillic and eastern european glyphs, for the sole purpose of giving HP/Palm the opportunity to claim international font support in their upcoming products. In reality, hellenic characters in Prelude have very little in common to their roman counterparts. And this is a shame not only because Prelude (for roman characters) is a fantastic font, but also because fonts, contrary to software, are not iteratively designed at the rate that software is and chances are that the botched hellenic glyphs currently found in Prelude will be on HP/Palm devices for a long time to come. What a shame! You are currently browsing the cosmix.org weblog archives for the year 2010.